HomeArticleWhat is Nipah Virus (NiV) ? All you need to know about NiV. 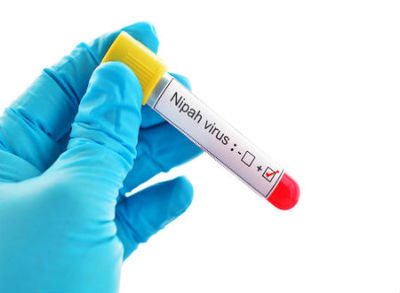 What is Nipah Virus (NiV) ? All you need to know about NiV. What is the issue? why in news? Kerala has been on high alert due to mysterious deaths of ten people because of an unidentified viral attack. Out of these, three were reported to be caused by Nipah Virus (NiV). The lethal Nipah Virus(NiV) has been spreading in northern Kerala, creating a health emergency and widespread panic. The Zoonotic virus is suspected to have spread to humans from infected bats, and actions to curtail the spread of infections are currently underway. As per the World Health Organisation (WHO), Nipah Virus is a newly emerging zoonosis that causes a severe disease in both animals and humans. This virus was first identified in Malaysia and Singapore in 1998. At that time, it was primarily caused in pigs and through them got transferred to humans. Nipah Virus infected as many as 265 people then, out of which 40 percent were taken under intensive care due to the infection having spread severely. As quoted by the WHO, the natural host of the virus are fruit bats of the Pteropodidae Family, Pteropus genus. Nipah spreads from fruit bats to humans and other animals, mainly through bad dropping or bodily remains and then spreads laterally within a species. But less than 1% of the fruit bats are estimated to be infected with Nipah virus and it is even rarer for it to infect humans. It is indeed highly contagious within humans, and the current episode in Kerala even killed a nurse who was treating another Nipah patient. The outbreak has already cost the lives of 10 people out of 12 confirmed cases in Kozhikode and Malappuram of Kerala. Notably, the previous serious outbreak in India was in 2001, when the Siliguri district of West Bengal recorded 42 Nipah related deaths. The disease has a high mortality rate, but experts stress that there is no reason to panic because Nipah outbreaks have always been generally localised. What are the symptoms of Nipah? The classical symptom is acute and rapidly progressive encephalitis (brain inflammation and pain) with or without respiratory involvement. Other more noticeable symptoms include non-productive cough during the early part of the disease. Nipah encephalitis comes with 3-14 days of fever and headache, followed by drowsiness, disorientation and mental confusion. Acute encephalitis progresses to coma within 24-48 hours. How can the spread of Nipah be contained? Virologists working on the ground have asserted that early diagnosis has helped in containing the spread in the current case. Timely laboratory confirmation and aggressive tracing of those who came in contact with the patient can contain spread of the virus. This is very important because there is no effective specific treatment for the infection and hospitalisation is only to support our bodily immune systems. Standard infection control practices (like washing and sanitising) and proper barrier nursing techniques are also critical for curtailing spread. Since drinking raw date palm sap bitten by a bat can also cause NiV, it is safe to say that you should stay from consuming date palm for some time. Detection is another issue with NiV and anyone who feels the symptoms should get tested thoroughly from a recognized facility.